Our company cash for gold also deals in cash for silver and is a trusted name in this arena. Many people don't realize that silver can also bring in extra cash on selling and price of silver in the international market is scaling new heights every day. The market dynamics have completed changed you can sell your scrap silver at a very attractive price. Here at cash for gold, we buy all kinds of silver jewellery whether it's old or broken. We do buy hallmark silver jewellery at best prices using fair evaluation techniques. We follow the best practices during the silver evaluation and guarantee afair price. In recent years cash for silver has become one of the most popular ways for making good money. 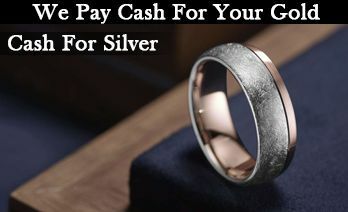 If you are looking to sell your scrap silverthen don't miss this opportunity visit cash for gold and get the best deal. What we buy In Silver ?